Retreats on the Road & Private Retreats available by appointment - All of our programs can be scheduled for individuals or groups..
Retreats on the Road & Private Retreats available by appointment - All of our programs can be scheduled for individuals or groups. 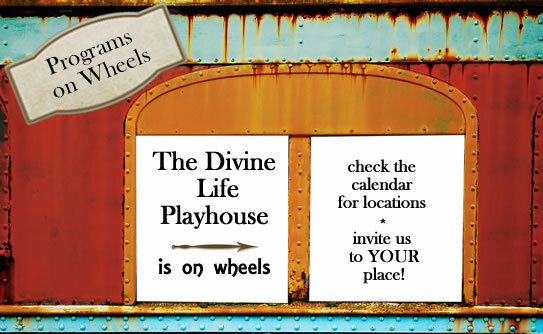 Each month The Divine Playhouse offers opportunities for playful explorartion and discovery around a central theme. The main Gallery Space has various Stations of Exploration installed on a monthly rotating schedule.